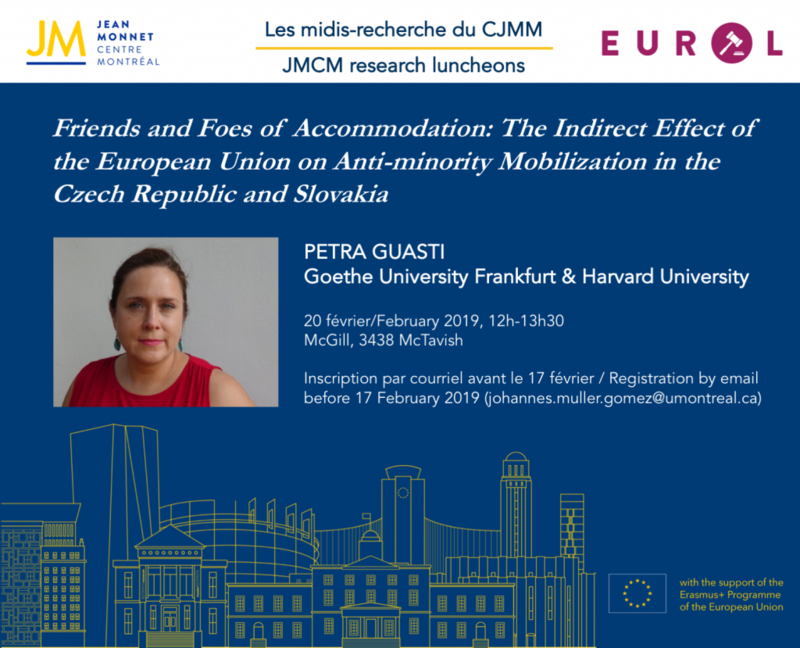 Le 20 février 2019, Petra Guasti (Goethe University Frankfurt & Harvard University) présentera ses travaux sur « Friends and Foes of Accommodation: The Indirect Effect of the European Union on Anti-minority Mobilization in the Czech Republic and Slovakia ». 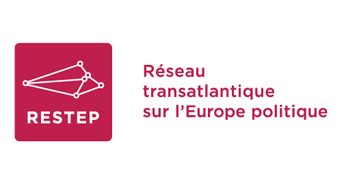 Cette séance est organisée en coopération avec la chaire Jean Monnet Eurol. L’entrée est gratuite. 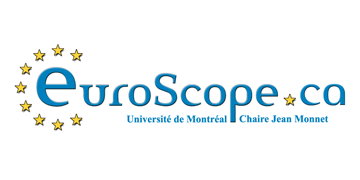 Veillez bien vous inscrire par courriel avant le 17 février (johannes.muller.gomez [at] umontreal.ca). 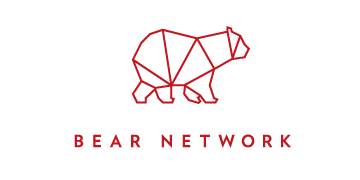 Présentation de la conférencière (en anglais) : Petra Guasti is a Post-Doctoral Research Fellow at the Institute of Political Science, Goethe University Frankfurt (Democratic Innovations Research Unit) and AY 2018/2019 Democracy Visiting Fellow at the Ash Center for Democratic Governance and Innovation, Harvard Kennedy School. Petra previously held research and teaching positions at the University of Bremen, the University of Wurzburg and University of Mainz, visiting research positions at the University of Belfast (UK), Arizona State University (USA), Soochow University (Taiwan) and long-term research affiliation at the Institute of Sociology, Czech Academy of Sciences (CZ). Her research focus is on (representative) democracy, democratic innovations, civil society, and human rights. Her research appears among others in Democratization, Communist and Post-Communist Studies, European Political Science, Politics and Governance and East European Politics and Societies. Discussion : « Reprendre le contrôle! » Brexiters et Gilets Jaunes: même combat?